To celebrate I'm wearing sequins, obviously. But my makeup is pretty normal. I did switch my blush to a more Autumn appropriate color but, other than that, this is what I usually wear on my face every day. 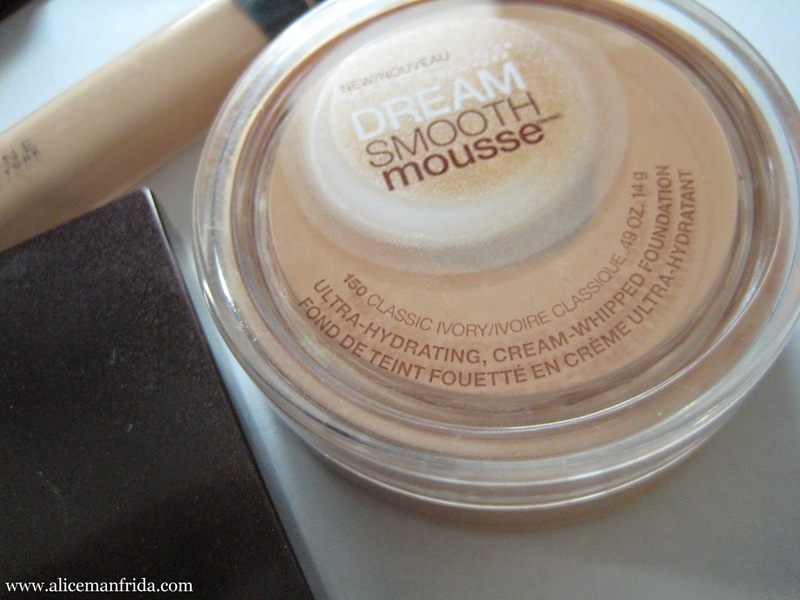 My foundation is Maybelline's Dream Smooth Mousse formula in the color Classic Ivory 150. The concealer I use is also from Maybelline and is in the color Fair 15. 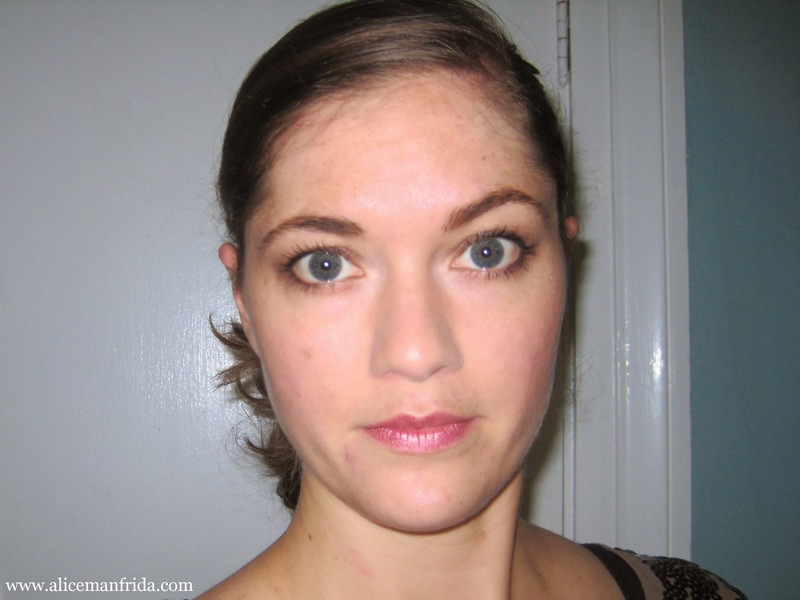 I go back and forth between applying concealer under or on top of foundation. I put it underneath today. 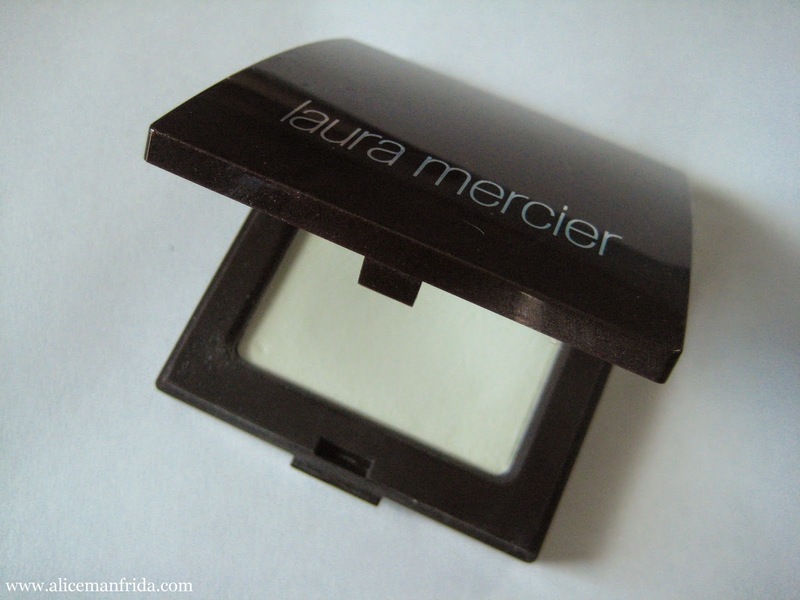 To set those, I've got a matte translucent pressed power from Laura Mercier. This stuff is expensive but it is so good. It completely cuts through shine. Seriously. 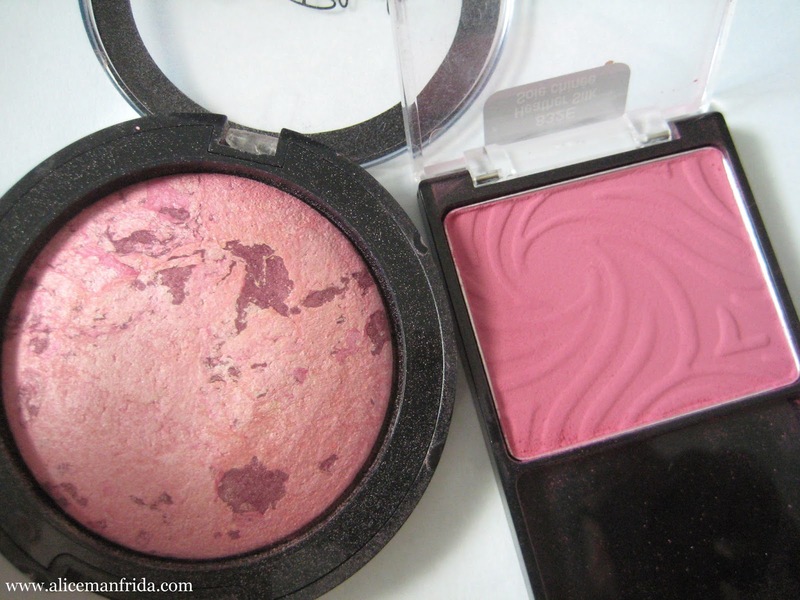 All summer I've been using this City Color Baked Blush in the color Blush (pink). It's kind of shimmery and super light pink so I like it for when my skin has color to it from the sun anyway. Today I broke out a darker and more pigmented color because I want it to be Fall. The color is Heather Silk 832E and it's from Wet n Wild. Eyes are the best part! It seems like there are a ton of layers going on here now that it's about to be listed out but it doesn't take long to put on. I've got Maybelline Unstoppable eyeliner in Onyx and my mascara is their Colossal Volum' Express Waterproof in Classic Black. I forgot to take a picture of the mascara but it comes in a yellow tube with purple writing, if you want to look for it. If you like makeup that does not budge no matter how humid it is (I'm talking steaming jungles here) I absolutely recommend these. 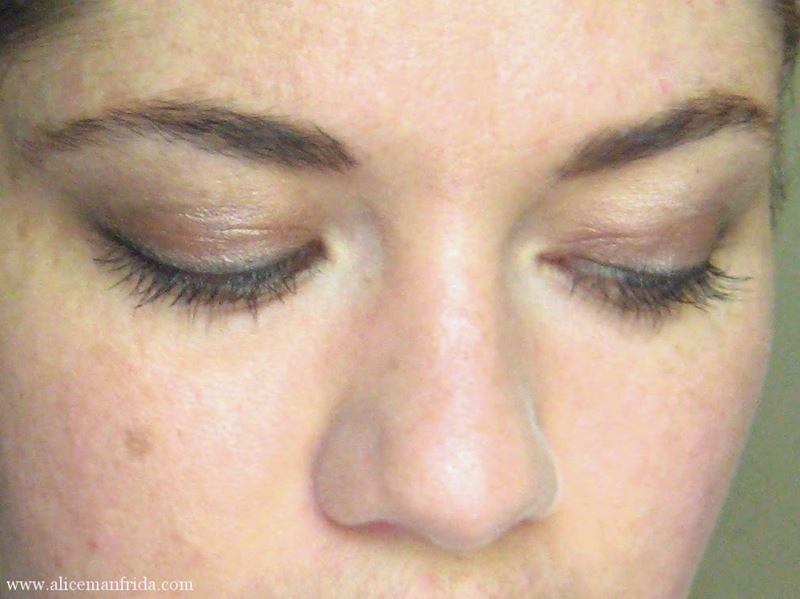 They aren't magic (well, the mascara might be) but they are really good. 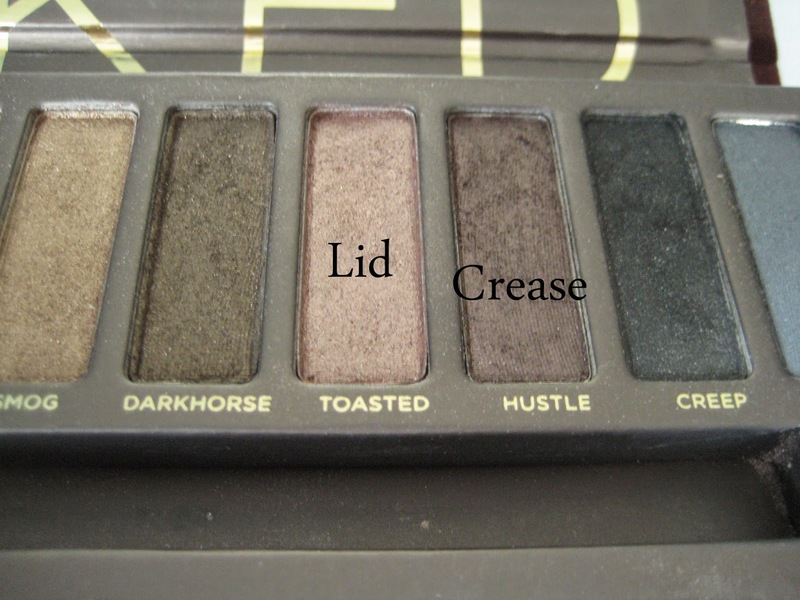 I've been using my Urban Decay Naked palette since I got it for my birthday. I've experimented with all of the colors but the ones I used today are my favorites. I didn't get a good picture of the lipliner that I use but I've been using the same one for some relatively large number of years. 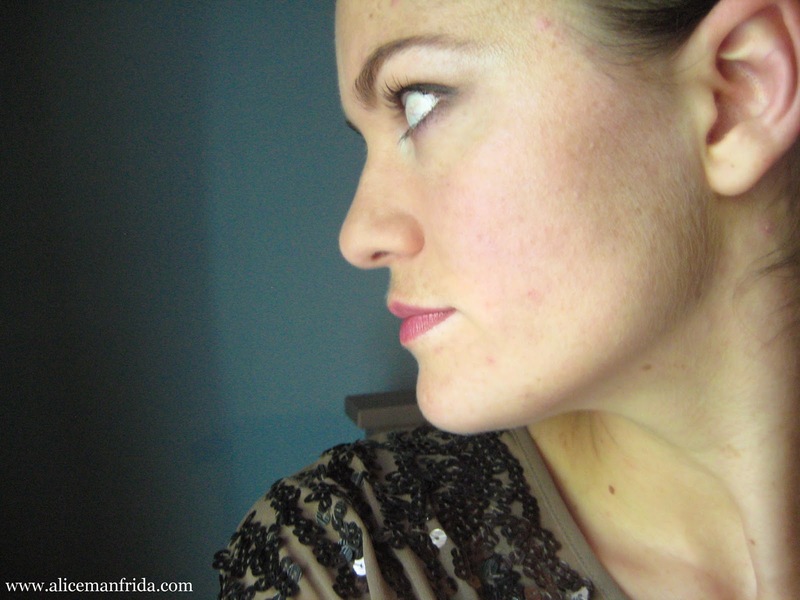 It's Revlon's ColorStay Lipliner in the color Blush. It's just what I've found is closest to my actual lip color. It's the kind that you twist up so it doesn't need to be sharpened and it doesn't dry out my lips too much. 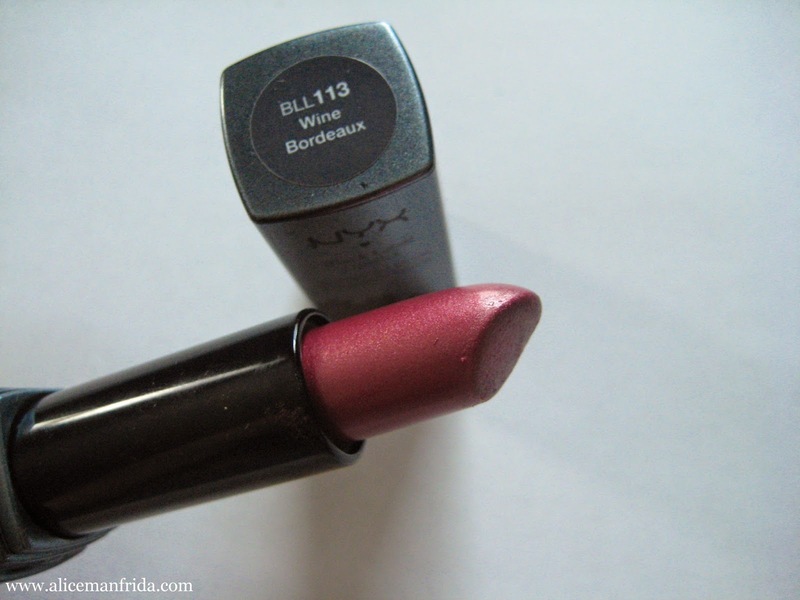 The lipstick is NYX Black Label Lipstick in the color Wine Bordeaux BLL113. It has kind of a lot of shimmer, it's super creamy and I like how it looks with the Wet n Wild blush. Also, it smells vaguely like grape. Please excuse my deer-in-headlights look. Ha ha! This is what it looks like when I'm not sitting right in front of a window. As I'm staring at a billion close up pictures of my face I'm realizing that the concealer is really good because I can only see one spot that is too much for it to handle. The rest don't show up on camera. :) Yippee! And here's the other side of my face! 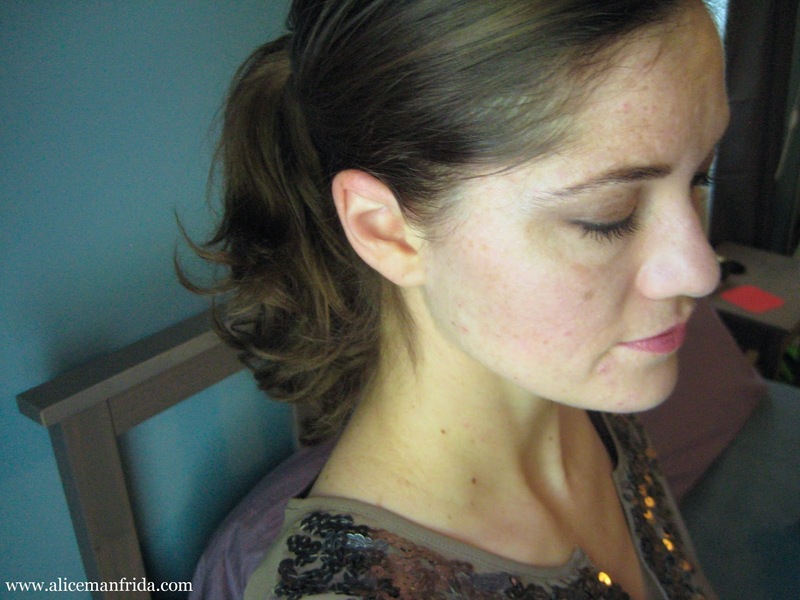 I can do this look in my sleep so I tend to be lazy and rely on it all the time. Does anyone else do that? 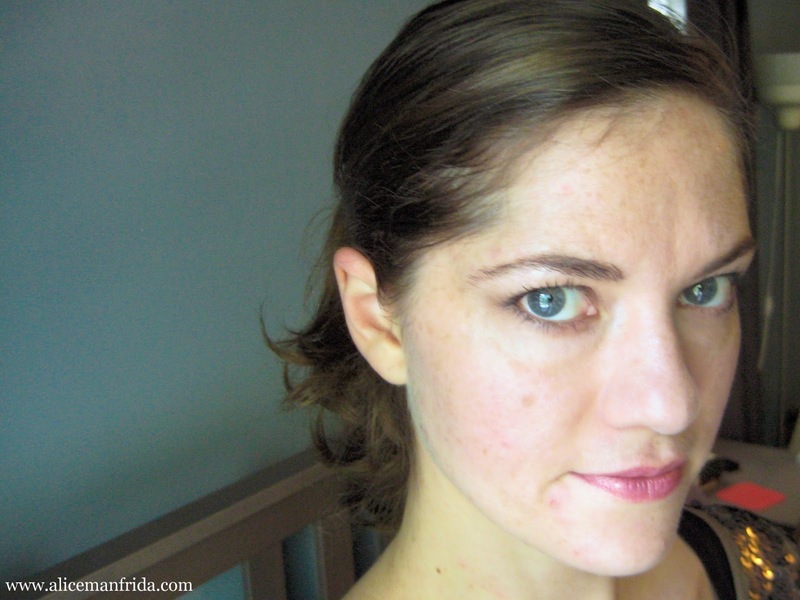 Or do you change your makeup more often? 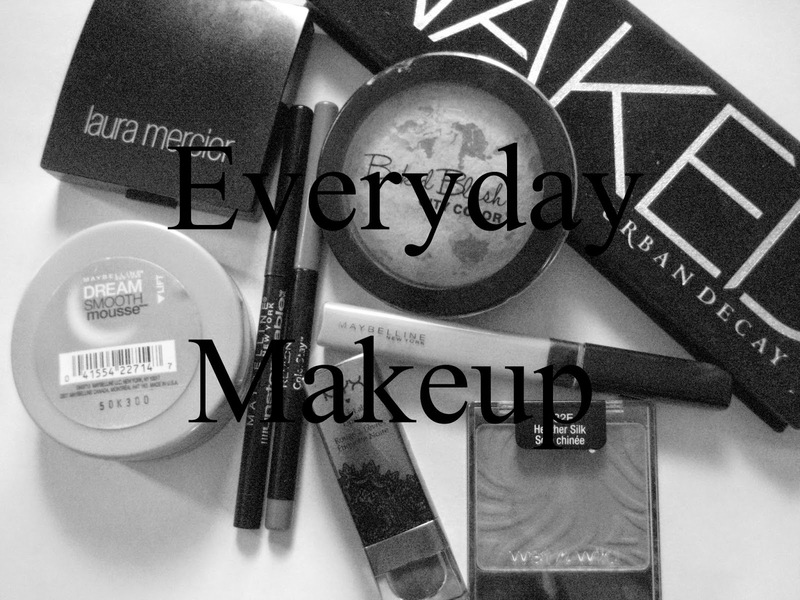 I usually go for the same makeup look everyday. Ain't nobody got time for changing it all the time ! Ha ha ha!! Seriously it's way easier! I bought the Wet n Wild blush at a discount store because I was so excited to find it. It used to be a staple in drugstores here but not anymore. 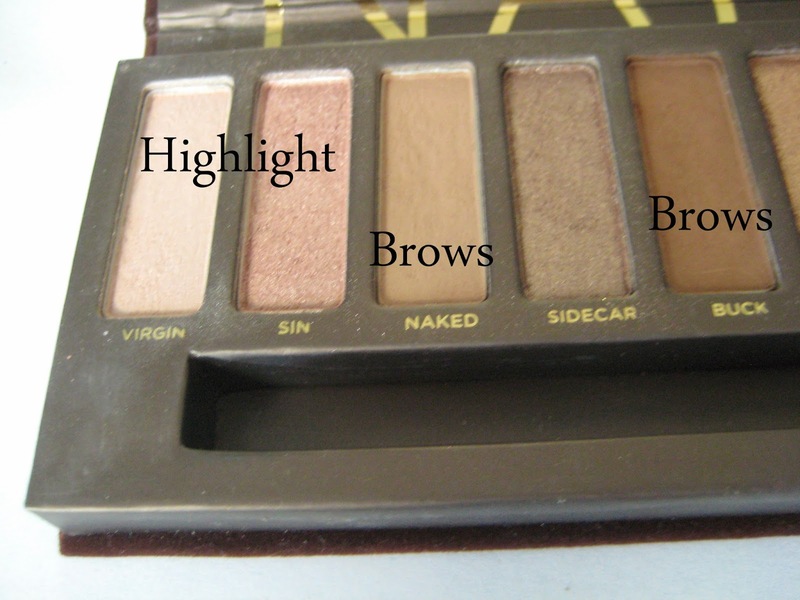 I also like having one of their black eyeliner pencils hanging around as a good basic.